This is the second installment of Project Sister Act. The project was developed to prove how style could transcend across all ages. 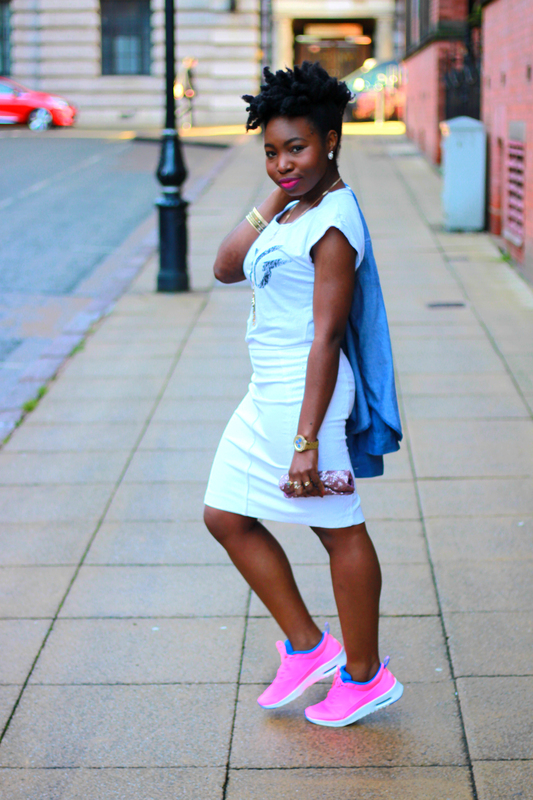 A new theme is chosen every month and various fashionistas of different ages interpret it however they wish. 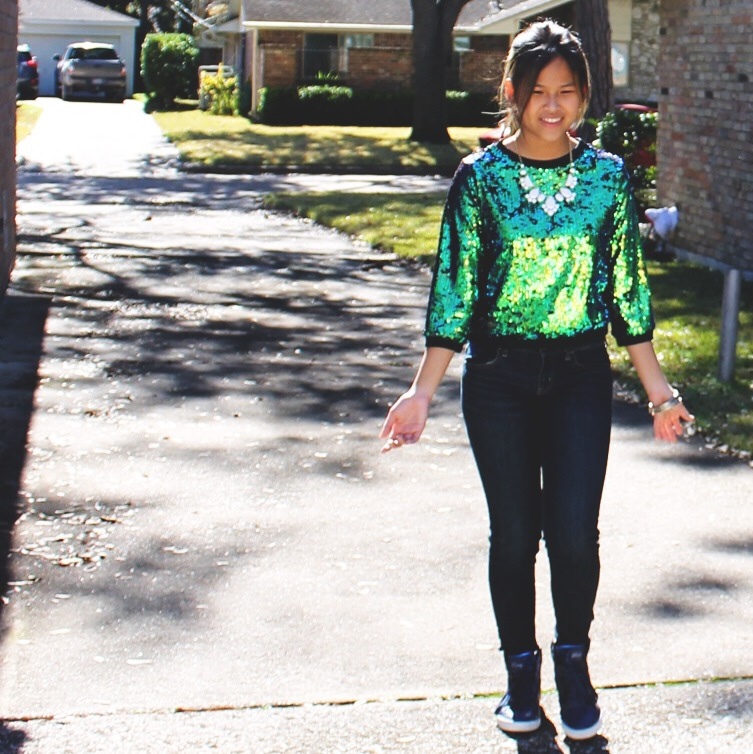 The theme we chose this month was Sequins and Sneakers and I represent the Teens Category. 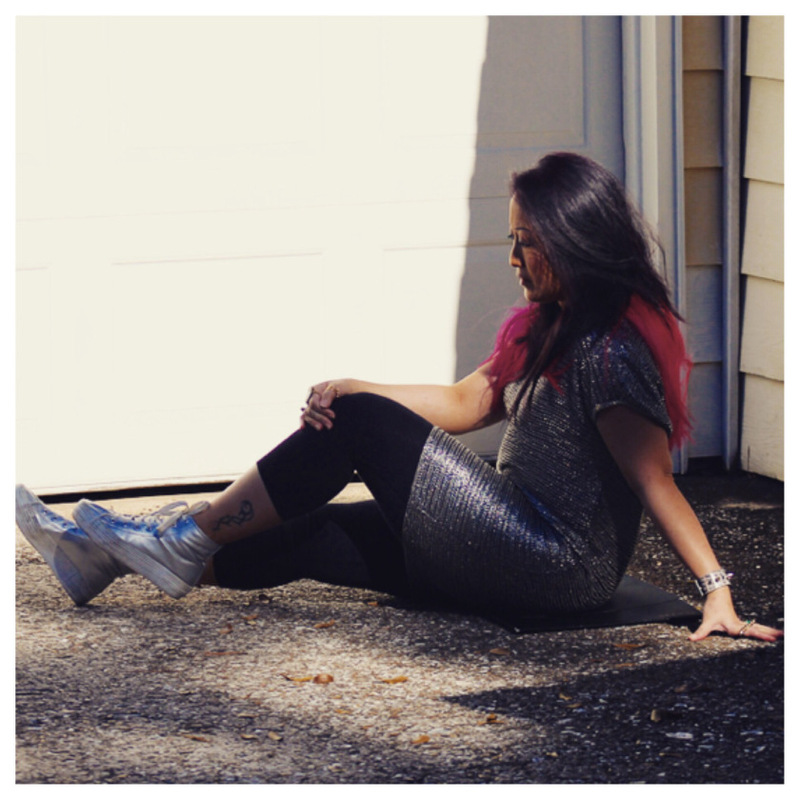 When I was told Sequins and Sneakers would be our next theme, I admit I kind of panicked. 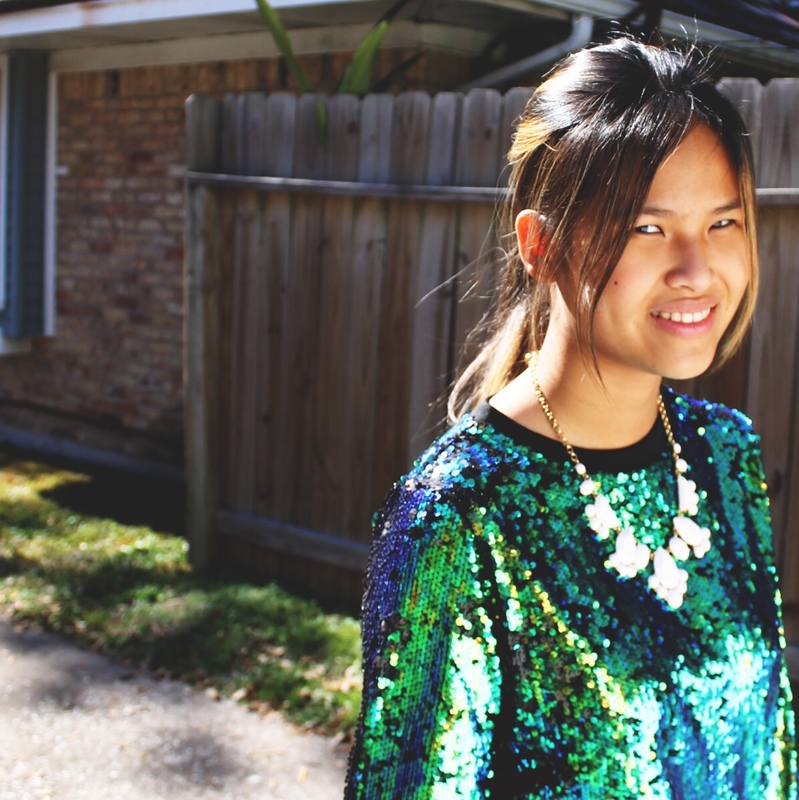 I had absolutely nothing in my closet that had anything with sequins! 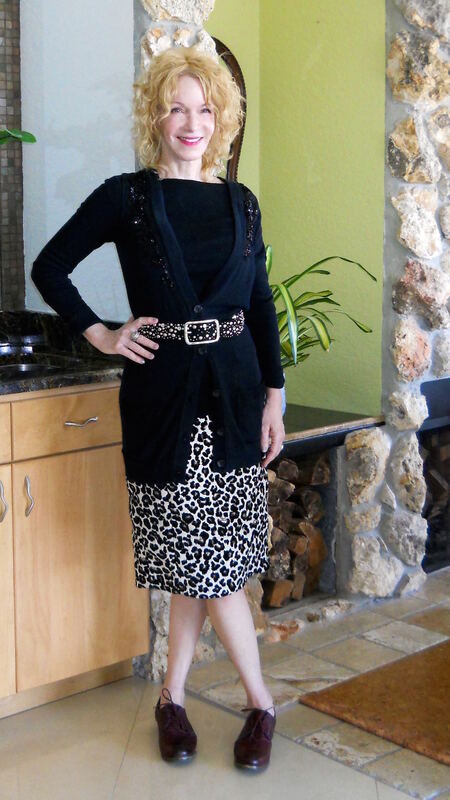 I had shoes adorned with sequins, but I figured that would be cheating. 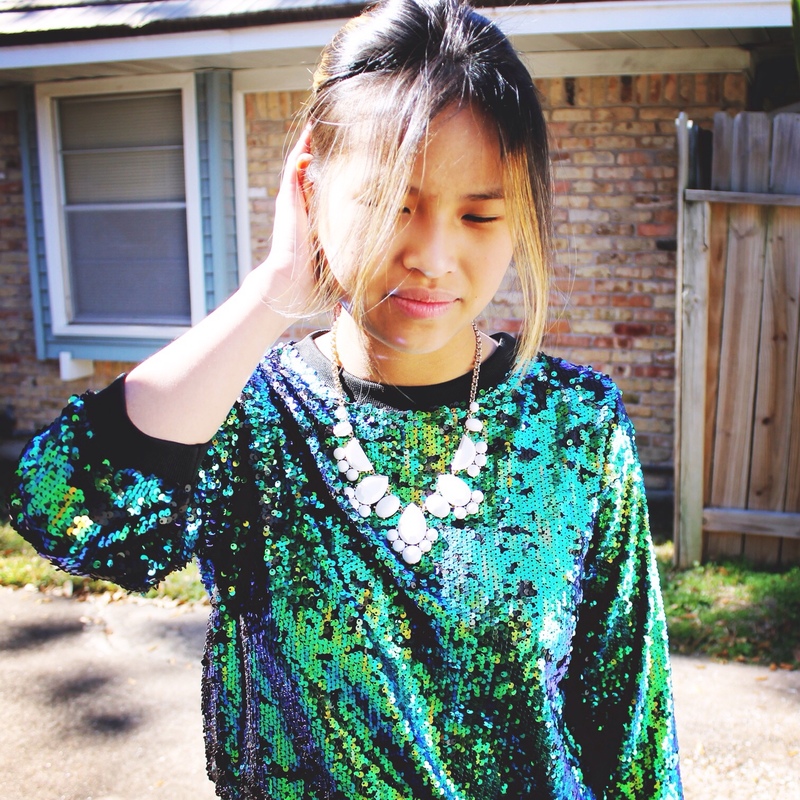 I’ve also never really been a fan of sequins, which made this assignment even more nerve-racking. But luckily, my mom managed to find me something. But if finding something wasn’t already a struggle, putting an entire outfit together was whole other problem. I changed five times because I had no clue what to wear with the sweater. And to top it off, Houston chose to be crazy and decided that it would be warm that day! Life…..such a struggle. However, slowly but surely, I finally chose to pair the sweater with my skinny jeans and put on my navy kicks. And I have to say, looking at the photos, it turned out pretty great 🙂 . 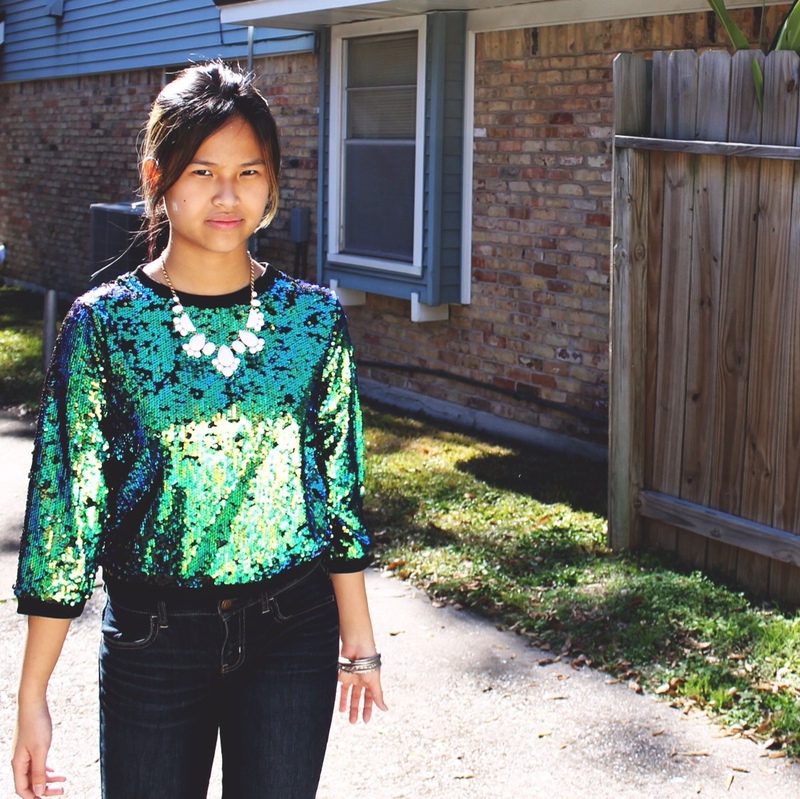 As shown, I had on an awesomely vibrant sequin sweater. But I have absolutely no idea where I got it from! Leave it to me to forget 😉 . My navy sneakers came from Pastry Shoes and the bangles I wore are from the Dream Out Loud by Selena Gomez Kmart Collection. And finally, my jeans were from Forever 21. My necklace was a Christmas gift from my stepbrother ( who knew he had good taste ) and I’m pretty sure it’s from Kate Spade. What did you guys think?